The Supreme Court has been moved, yet again, challenging the Scheduled Castes and the Scheduled Tribes (Prevention of Atrocities) Amendment Act, 2018, saying it bypasses the apex court’s order against arbitrary arrest under the Act and “is an attempt to separate the society unfairly”. The petition filed by India for Rule of Law Foundation and advocate Vikas Parashar prayed for striking down of the amendment saying the SC-ST Amendment Act, 2018 as it is “bound to encourage separatism and postpone, at least for some time, the dream of evolving a truly secular State”. Filed through advocate Devendra Nath Tripathi, the petition said the amendment brought in the by the government amounted to providing “social security to the members of the SC-ST community, unequally at the cost of non-SC-ST members” and “is only going to divide the country”. 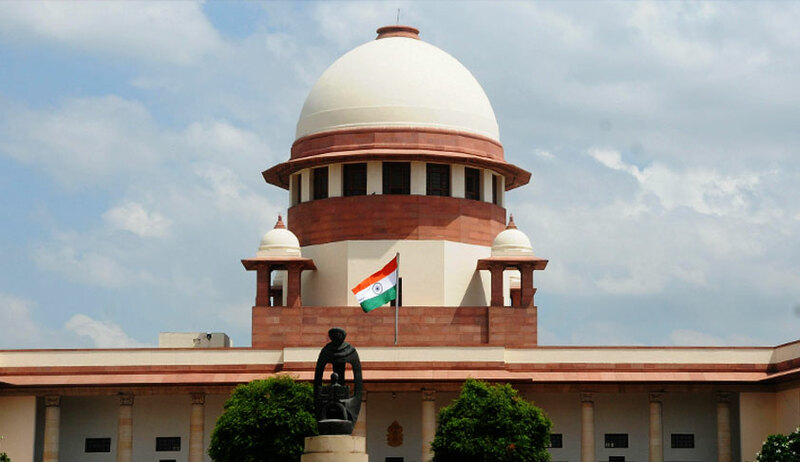 It is to be noted that the Supreme Court had earlier this year introduced a provision for anticipatory bail in cases registered under the Act while also laying down the procedure for a preliminary inquiry by police before making any arrest. This decision had led to massive protests in various parts of the country. Following the uproar, the government passed a Bill notifying an amendment to the Act with insertion of Section 18A which says that preliminary inquiry shall not be required for registration of a First Information Report against any person; the investigating officer shall not require approval for the arrest and that the provisions of Section 438 CrPC (anticipatory bail) shall not apply to a case under this Act, notwithstanding any judgment or order or direction of any Court. The petition said the amendment had rendered the judgment of the apex court “redundant, nugatory and otiose” and is a clear case of legislature “overruling, invalidating and dismissing the directions of this Hon’ble Court”. “The Parliament can also amend an Act to cure a defect highlighted by a Judgment, however, it cannot make a law to circumvent, overrule and bypass a judicial pronouncement indicting a social evil, which goes to the root of violation of natural justice and principles of equality,” it said. “This Amendment Act, 2018 being highly prejudicial, the Public Servants will find it difficult to give adverse remarks against employees for fear that they may be charged under the Act. It may unfairly damage the personal and professional reputation of a citizen. There is a need to balance the societal interest and peace on the one hand and the protection of rights of victims of such false allegations on the other,” said the petitioner while adding that doing away with provision of anticipatory bail is violative of the Constitutional scheme and runs contrary to Articles 14, 19 and 21.